If you are suffering from an injury or loss caused by someone else's negligence, you are likely scared and uncertain about what your future holds and how you will support yourself and your family. Luckily, help is available: You can trust the dedicated attorneys at Imbriale Injury Law in Woodstock, Georgia, to help you obtain the maximum amount possible for the damages you incurred as well as for your pain and suffering. We have provided compassionate support and aggressive advocacy to the residents of Cherokee County and the northern Atlanta metro region since 1990. Our attorneys possess over 50 years of combined legal experience in personal injury law. Over the course of our history, we have achieved unprecedented success fighting insurance companies on behalf of our clients, recovering millions of dollars in settlements and awards. The attorneys at our firm will offer you straightforward advice and compassionate counsel to help you make the most informed decisions about your case. Focusing on your specific needs and goals, we will remain by your side throughout all legal proceedings to address your concerns and ensure we have done everything we can to help you find the justice you seek. Our law firm offers free initial consultations, and we will not require a fee from you unless we successfully secure compensation on your behalf. 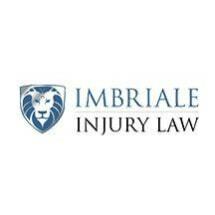 You have nothing to lose and so much to gain; contact Imbriale Injury Law by phone or by using the form on our website to schedule an appointment with one of our dedicated attorneys.